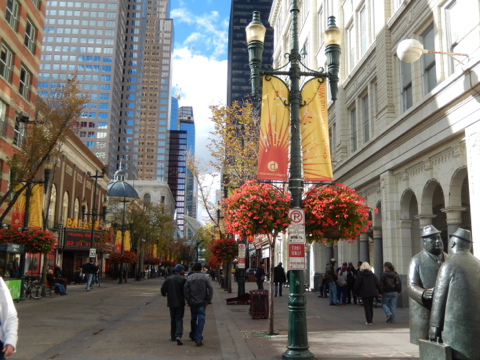 “a proposal to allow bikes on Stephen Avenue Walk is drawing criticism” from the Calgary Downtown Association. “Maggie Schofield, the executive director of the Calgary Downtown Association, supports much of the plan, but said allowing bikes on the popular pedestrian stroll on 8th Avenue S.W. will compromise the safety of pedestrians and a public amenity well-used by tourists in an area of downtown that is not popular with bicycle commuters.